Home Blog Free Tour Credits from RTV – Feed the Tour Shredder!! Free Tour Credits from RTV – Feed the Tour Shredder!! Real Tour Vision is pleased to announce our all new automated Tour Shredder! There’s no other way to say it; deleting unnecessary virtual tours from your account was always a painstaking endeavor. Users will now be able to shred multiple tours at once, which means significantly less time cleaning up old unwanted tours. Our new shredder will also remove the tours you shred from YouTube, and the tour provider rankings will no longer be reduced due to shredding tours. The old shredder was very underutilized and we feel these improvements will go a long way towards helping our customers keep their accounts clean. In the end this means more resources for maintaining a highly competitive virtual tour hosting platform. It’s really quite simple. RTV has created a first class virtual tour solution that requires lots of programming and maintenance to keep it (and YOU) ahead of the competition. This means it’s vital that we keep our hosting costs as low as possible so the most resources can be allocated towards programming for a better tomorrow! You can help us with this mission and receive free tour credits in the process. Our new Tour Shredder allows you to easily locate and remove virtual tours within your account that are no longer needed. 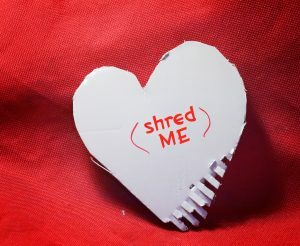 The Shredder suggests virtual tours for shredding based on past traffic and the status of your virtual tours. Virtual tours that have not received any traffic in over one year and or tours that have been marked as SOLD in the account will be automatically flagged for shredding. We will never recommend business type tours or tours that are not “For Sale” as a possible tour for shredding as you’re already paying an annual hosting fee to keep your business and commercial tours on our system. RTV credits customers with one free tour credit for every fifty virtual tours that are shred. Using our current virtual tour credit pricing, this payback is equal to having a 2% cash back program just for keeping your account clean. RTV was the very first virtual tour hosting service to reward customers for shredding old tours. To date we’re still the only company with such a program. Not only will you earn tour credits by shredding your old tours, but you’ll also feel good that you’re doing your part to help RTV keep the most resources allocated to programming. How often should you shred? As your technology partner, RTV will now count on you to shred unnecessary tours from your account on a regular basis. Each month RTV will send you a reminder if the shredder identifies any new tours that can be shred. Be on the lookout for that email! If monthly shredding is not for you then you should minimally clean out your old and “sold” tours one a quarter throughout the year. It’s fast and it’s easy to do so just make it a part of your routine. While we know that most of our loyal customers will have no problem shredding old data, there will still be those that have gone out of business, left the industry or are simply too busy to shred. To address these cases RTV will soon be introducing new policy that will label accounts that do not use the Tour Shredder as “Abandoned” or “Distressed” depending on how many tours are being created in those accounts each month and how many “shreddable” tours those accounts contain. Accounts that are abandoned or just plain running inefficiently will receive notification from RTV encouraging the shredding of this unnecessary data. If the data is still left in those accounts RTV will then use the Tour Shredder on the customers behalf to bring these accounts back into balance. A very big thanks to everyone for your continued support. We’ve very excited about all the new virtual tour technology that we’re able to provide. It’s you, our loyal customer base, that helps make all this possible. See you on our next webinar!